Kollam: The Revolutionary Socialist Party (Leninist) is facing a split with its senior leader Ambalathara Sreedharan Nair claiming that he, and not Mr Kovoor Kunjumon, is the party’s state secretary. He has submitted an application before the Election Commission of India to amend the registration of the party based on his claim. Mr. Nair said that it was due to a ‘mistake’ made by the party’s state committee member S. Baladev that Mr Kovoor Kunjumon was named as the party’s state secretary. “An application for the registration of the RSP (Leninist) was submitted in March by Kovoor Kunjumon. This was done by mistake by Mr. Kunjumon who is only an assistant secretary in the party. I am the state secretary, the person duly authorised by the state committee to submit the application as per the provisions of the representation of people Act for political parties’ registration, the authorised person to submit an application is the state secretary,” Mr. Sreedharan Nair said. 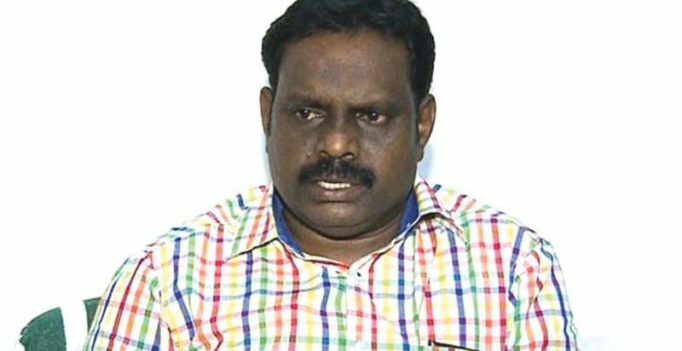 The RSP(L) has ousted Mr Baladev from the party for manipulating the documents by changing the date of the state conference held on March 28 to March 15 for getting the party approved by the Election Commission with Kovoor Kunjumon as its state secretary, Mr. Sreedharan Nair said. “We have not yet sought an explanation from Mr Kunjumon on the issue. Instead, the issue was raised in a party committee and Mr Kunjumon said it was by mistake that the name of the state secretary was changed,” Mr. Nair said. He also said that Mr. Kunjumon was not available for functions organised by this ‘official’ RSP (L) faction after the issue. Trishala’s bikini picture on which Maanayata replied. Mumbai: The social media has ensured that the star kids are popular even before they venture into films…. Take a look inside Neil Nitin Mukesh-Rukmini’s lavish wedding reception!